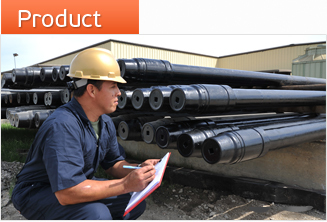 "New Drill Pipe, Competitive Price, & Shortest Delivery"
Drill pipe international LLC is a Texas, US based vertically integrated manufacturer of Drill Pipe & HW Drill Pipes serving to domestic Downhole industry & overseas as well.Drill Pipe International, LLC is a 100% wholly owned subsidiary of Jindal Saw USA, LLC (A Texas limited liability Company). 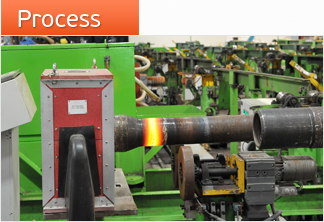 With the unbeatable combination of Upset machine, HT Furnace, Tool Joint Mfg plant, Friction welding, Post Weld HT, MPI, UT, Finishing facility i.e. M&B, Hardbinding, Internal Plastic coating (IPC), and Balancing Equipments. 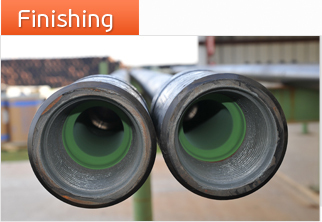 Drill Pipe International, LCC is perfectly positioned to cater to the varied demands of Downhole equipments in domestic and International markets as well. Superior business ethics ... high quality products technology , proactive marketing … competitive pricing ... timely deliveries ... these are just a few of the factors that create value for our customers and contribute towards our success in the marketplace. And our customers are happy to come back to us - time and time again. Copyright © 2014 drillpipeinternational.com All Rights Reserved.